MOSCOW (Sputnik) - Concluding a peace agreement with Russia will contribute to the strengthening of security in the region and will, therefore, benefit the United States, Japanese Prime Minister Shinzo Abe said on Sunday. "Since it [the peace agreement] will be beneficial to [the strengthening of] peace and security in the region, it will also come as a gain for the United States," Abe was quoted as saying by the Kyodo news agency. Earlier this week, Abe reiterated Tokyo's commitment to push forward the negotiations on concluding a peace deal and ending a decades-long territorial dispute with Russia. At a meeting in Singapore on November 14, Abe and Russian President Vladimir Putin agreed to speed up the talks to conclude a peace treaty based on the 1956 joint declaration between Japan and the Soviet Union. The two neighbors have been technically at war after failing to sign a post-WWII peace treaty. 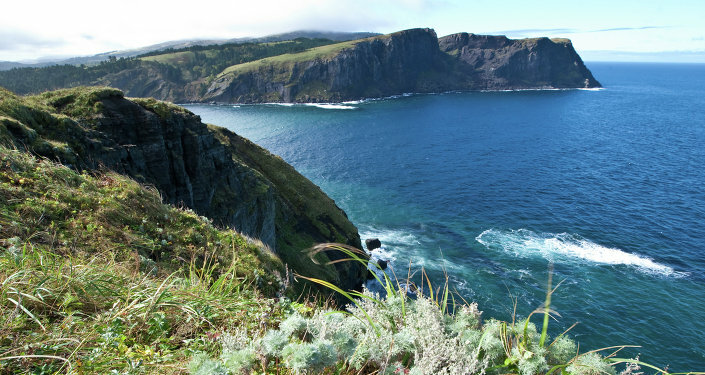 Japan claims four disputed islands off its northern tip called the Southern Kurils in Russia. In the 1956 declaration, Moscow agreed to hand over two of the four disputed islands – Habomai and Shikotan – to Tokyo once a peace agreement was signed. The two countries ratified the declaration but then Japan refused to implement these agreements, insisting on the transfer of all the four major islands of the Southern Kurils. Japanese Foreign Minister Taro Kono will reportedly pay a visit to Russia on January 12-16, during which he will discuss bilateral relations and the issue of a peace treaty during his meeting with Russian Foreign Minister Sergey Lavrov. Japanese Prime Minister Shinzo Abe is also expected to visit Russia later in the month, with January 21 viewed as a possible date of the trip.